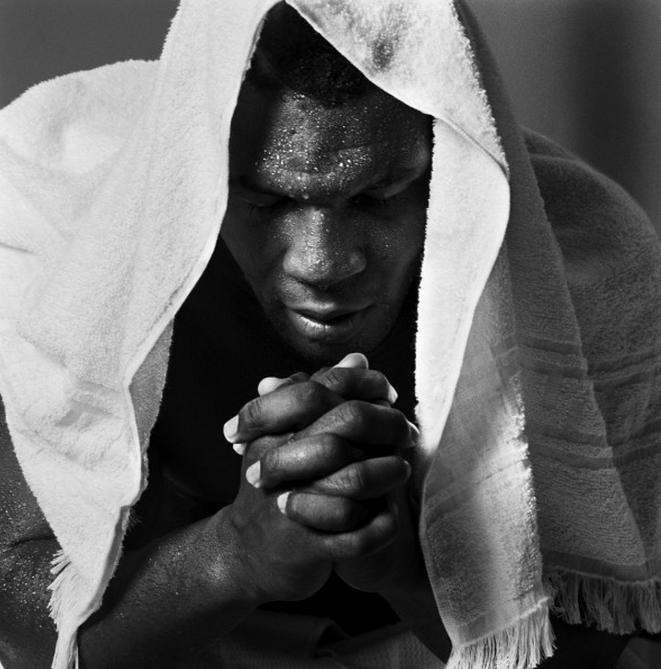 Mike Tyson by Michel Comte shows the image of world boxing legend Mike Tyson. Contrary to the strong pose one would imagine him in, Comte captures Tyson praying. This is the magic of Michel Comte. He transforms his subjects, and shows their strengths in unexpected ways.